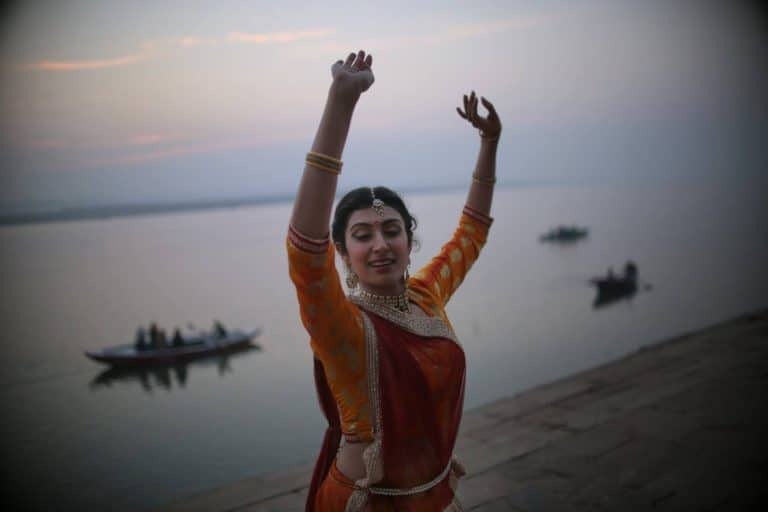 Shinjini Kulkarni practices Kathak dancing on the banks of the Ganges in Varanasi at dawn, Photo courtesy of Souvid Datta. TONIGHT on channel 4, catch the final two episodes of music documentary series Tuning 2 You: Lost Musicians of India! This six-part series, exploring and celebrating modern India’s rich folk music heritage, is a collaborative project between Soumik Datta Arts, Bagri Foundation, Rumi Foundation and Weavers Studio. Talented brothers Sarod virtuoso, Soumik Datta and award-winning photo journalist Souvid Datta embark on a vivid and panoramic journey through a raw, undiluted India, spanning 6 states. Journey through Karnataka and Varanasi with Soumik and Souvid Datta (photo journalist). At 2:55 A.M. experience tropical Karnataka, where Soumik meets some of the state’s famous dancers, whose performances are impressively colourful and energetic. Atop the region’s mountains and deep in its forests, music and dance are an enduring and ancient way of life, inspired by religion and the natural environment. At 3:30 A.M. join Soumik in an exploration of the ancient city of Varanasi, notably a particular neighbourhood that has produced five generations of Indian classical masters. He also meets women singers who have committed their lives to the Hindu god Shiva, and a young drummer who has the talent to make it big. The episodes will be available to watch on 4OD for up to 30 days. Teasers for the series can be found on our youtube playlist here. We’re delighted to support Tuning 2 You to showcase India’s forgotten musicians and rare musical collaborations!